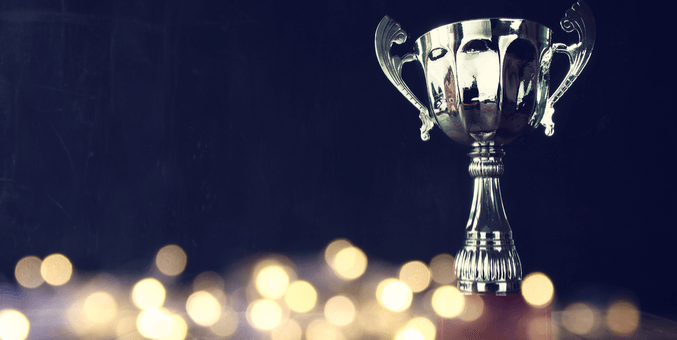 Company Awards: Are They Worth the Effort? Every company, and executive, wants to be rewarded and recognized for the challenging work completed over the course of a year. This recognition typically comes from the business awards everyone wants to showcase in their trophy case – this could be a Stevie Award, Best in Biz Award, Inc. 500/5000 recognition, or an Entrepreneur of 2018 Award – the list of awards for the marketing and communications team to consider is endless. Researching all the awards and taking time to complete the submissions can be a heavy lift and may not give you or the company the ROI expected. Which awards are worth applying for? That is the million-dollar question. When you’re tasked with researching, or when you give your internal team the task, here are a few things to consider. Knowing the company budget when searching for awards is key to knowing which to pursue. While a lot of awards often don’t charge for submitting a nomination, the top-tier awards you have your eye on come with a hefty cost. If you know your annual budget, it will help you and your team decide if an award is worth the investment or not. There are valuable awards out there that don’t come with a cost and these may be more worthwhile. If you’re in the big data business, you’re in luck! We have a list to help you get started. As you’re looking through an award, make sure the award categories line up with your goals and objectives. Is it a customer service award? A corporate social responsibility award? Is it a ‘best company’ award? If you don’t see a category that fits what you’re looking for, but know the award is one worth pursuing (i.e. the award is for AI companies, but there isn’t a category that exactly fits what your company does), give the award organizers a call and ask how open they are to creating a new award category – you might just secure an award for your company this way. Before you present an award opportunity to your boss, understanding the ROI the company may see if they win, or are named a finalist, is important in getting them on board to pursue. If the award costs money to submit, do they provide a press release template if you’re named a finalist? Do they market the winners to your target audience? Is there an awards gala you can attend and network with potential and current customers if you’re a finalist? While these awards look great for you and your company, what’s even better is the face time you can get with current and potential customers in a more social business setting – if you they will also be attending. If you’re selected as a finalist, be sure to check out the winners from all the other categories to get a sense of the companies who may be in attendance. If other companies fall into your target audience, then this is also a great networking opportunity. If there isn’t, you may not want to spend the money to attend the gala. Does the award call for c-level executives to attend? You’ve decided the award gala is worth attending – but do you know who from the company will be attending? This is important because if you don’t know, you may be at a gala where you’re the most senior level attendee, or you may have sent another colleague who isn’t senior enough. Typically, these will be attended by executives at the VP level or higher, but make sure to double check, as you don’t want to send a manager to a gala attended by C-level executives by accident. Does the award have time set aside for you to network before and after? The actual awards ceremony itself doesn’t offer too much time for networking. Often, an awards gala has a celebration portion where all the attendees can socialize, congratulate each other, and get to know a bit more about other companies. If you or your company were named a finalist but didn’t end up winning the award the night of the gala – don’t write it off as a loss. Use this time outside of the awards ceremony itself to make a connection that could lead to a more worthwhile return for your company down the road. This one is obvious – know the deadline of the award before you present the opportunity. You don’t want to bring up an award, have your boss on board to nominate the company for it, only to find out the deadline was missed. It doesn’t make you or your team look good. If you don’t see a deadline on the website or within the nomination form, shoot the organizers an email or find a phone number to call and confirm the deadline. If you happened to miss the deadline, ask for an extension. Often, they will typically give a few days to turn around a nomination – especially if the award costs money to apply. The right award can elevate your company amongst your competitors, give you and your company third-party validation, generate new business leads, and more. These are all things we consider when vetting an award before we nominate our clients and 10Fold – ensuring we have the best chance for the greatest return. Good luck!